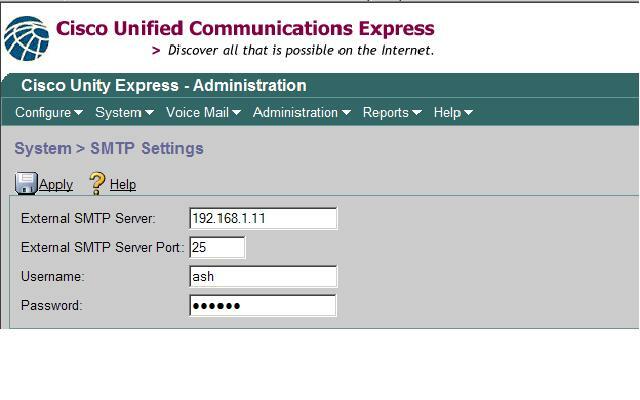 Integrated messaging on Cisco Unity Express is the convergence feature for voicemail and e-mail systems. It allows subscribers to have an integrated view of their e-mails and voice-mail messages from a single e-mail client using IMAP Version 4 rev1. 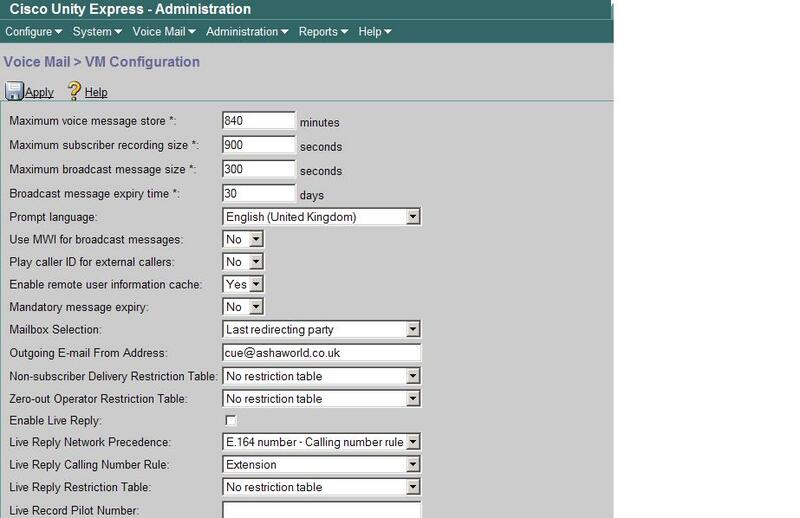 To make emails sent through for any new voicemail we can use IMAP or SMTP. 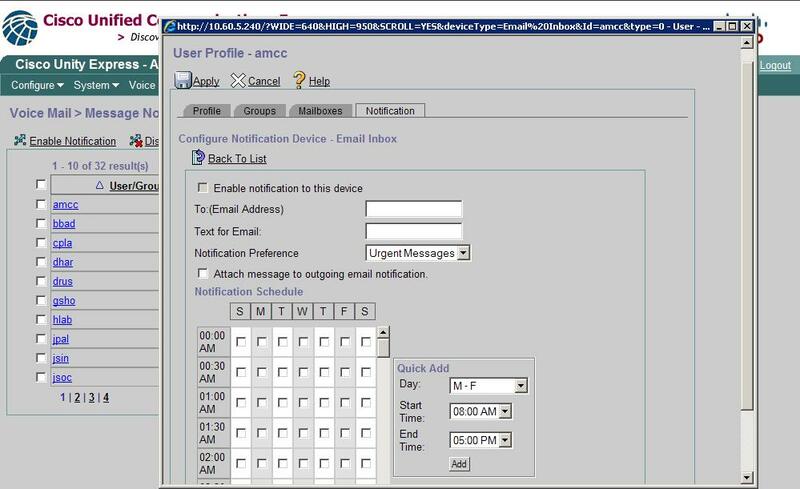 IMAP is one way to send the voice mail, but you need to add it on each people’s outlook with an IMAP account. CUE acts as the IMAP server. By default, there should be an IMAP group that has integrated messing permissions. Make sure your users are a member of that group. After that, you simply need to have the clients add an IMAP account. When they do that, the username and password are the same username and password on the CUE. The IMAP server is 10.1.10.1 (by default). Outgoing server SMTP server and email address are only important if the user will forward the emails off to different people. There are other complications there, like the username and password would need to be the same on both systems. The following example shows sample output from the show imap sessions command. -Set up the Notification schedule, these are the hours that e-mails will be sent. If there are any issues after doing all then most of the time it is with the Exchange Server. To verify your CUE side of things are working fine you can download and run Post Cast SMTP Server for Windows to eliminate any CUE issues. I am having Some Difficulties, I need to configure Notification on my co. E-mail when i will get Voice mail on Cisco Ip Phone.